Testing has shown that the least expensive version also comes with a considerably slower performance. Recent tests on the 32GB iPhone 7 are showing that the price you pay for a smartphone can make a difference to performance. The testing by both Unbox Therapy and GSMArena have revealed very similar results. 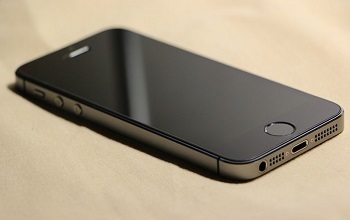 The 32GB version of the Apple smartphone is considerably slower than its more expensive counterparts. The two companies both independently found that the 32GB iPhone 7 is much slower than the 128GB and 256GB versions. Furthermore, the 32GB model’s 4G reception is also notably poorer. The testing showed that the speed of the storage within the least expensive iPhone 7 model was a sizeable 200Mbps slower than the more expensive 128GB version. The read speed of the two mobile devices was measured at 656Mbps for the 32GB and 856Mbps for the 128GB. That said, it was also pointed out that in terms of day to day usage, any fluctuation in read speed higher than 600Mbps is unlikely to be detected by the user. What may be noticed by 32GB iPhone 7 users is a difference in writing to the storage. The write speed was significantly slower on the cheaper model. While the more expensive 128GB iPhone write to memory at 341Mbps, there was an eight times slower write rate on the 32GB model. Its write to memory speed was measured at only 42Mbps in the Unbox Therapy tests. This was only underscored by the GSMArena tests. The iPhone 7 Plus version write rate was nearly identical. The 32GB smartphone registered a write to memory speed of 39.6Mbps. The 128GB iPhone 7, on the other hand, wrote to memory at 308Mbps. Other testing of the various Plus versions have shown that there are differences among them in their cellular performance. Cellular Insights, a firm based in New York, tested the networking equipment of the devices. What it found was that models A1778 and A1784 – which were sold in the UK and Europe – achieved considerably poorer performance than the A1660 and A1661 models sold in the United States. These tests show that it’s not just the 32GB iPhone 7 that differs from the other models. Smartphone performance also depends on where you purchase your device. Apple could sell fewer iPhones this year compared to 2014. KGI Securities analyst Ming-Chi Kuo has forecasted that global iPhone shipments may be lower in 2016 than they were in 2014. If he is right about his predictions, Apple could be among the top five smartphone brands to perform the worst this year. Three million fewer iPhones could be sold this year than two years ago. Ming-Chi Kuo, a respected analyst from the Asia-Pacific based financial services group KGI Securities, gathers intelligence from his contacts in Apple’s Asia supply chain. According to a new research note he recently issued, in a worst case scenario, iPhone shipments in 2016 are anticipated to reach a mere 190 million units. This would be an 18 percent decrease in shipment growth and three million fewer iPhones compared to what the company sold in 2014. Kuo said in his note that even in the best case scenario Apple is anticipated to sell only 205 million units, which would still be an 11.6 percent decrease in growth and five million short of the lower end of analysts’ estimate range, reported MacRumors. Whether or not the best or the worst case scenario is the end result, it is Kuo’s prediction that Apple will underperform the industry and become the only global top-five smartphone brand to see a decline in shipment this year. 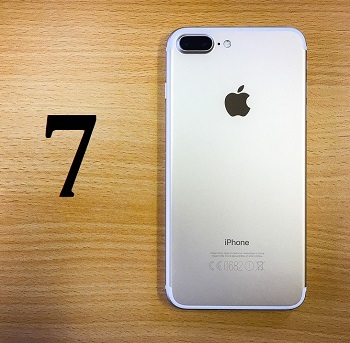 Limited iPhone 7 selling points are one of the key factors behind global iPhone shipments decline. He predicts that out of the leading five smartphone brands (Samsung, Apple, Huawei, Oppo, and Vivo), only Apple will see shipments fall YoY (year-on-year). This suggests to KGI Securities that the drop in iPhone sales cannot be blamed only on industry structure. Kuo believes that key factors responsible for the expected decline are the slowing market demand for handset replacements with large screens and limited iPhone 7 selling points. According to Kuo, for Apple to sustain its global iPhone shipments growth it needs to develop more innovative features that will revitalize the user experience, such as in the form of hardware, software and form factor design specs. Apple’s earnings announcement for the first calendar quarter of 2016 will occur on April 26.